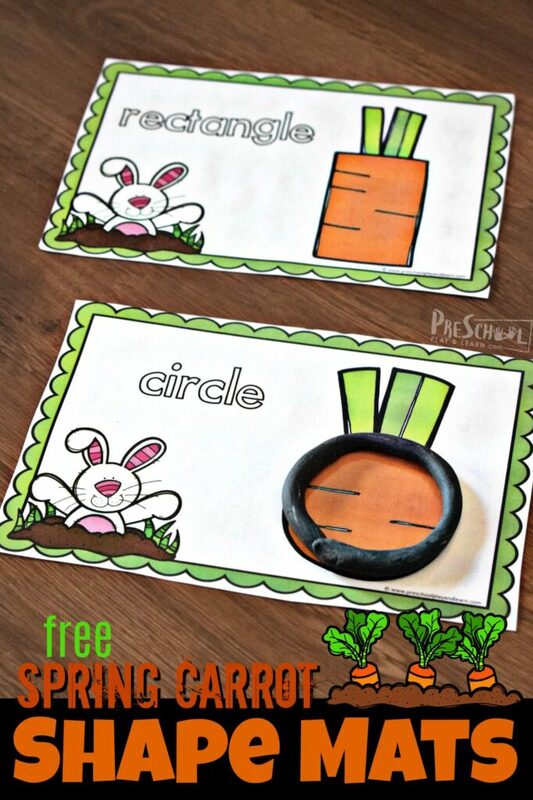 These adorable FREE Printable Easter Carrot Shape Mats are such a fun way for preschoolers to practice making shapes and learning shape names. 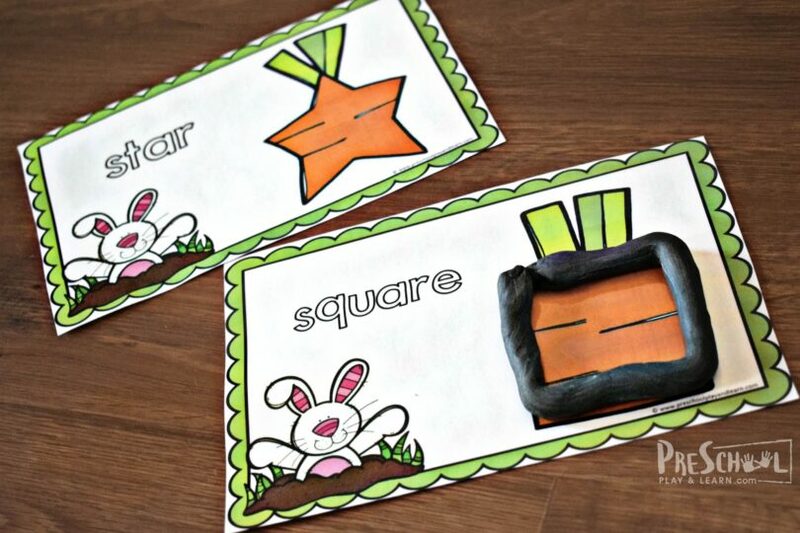 These shape playdough mats are such a fun NO PREP math activity for preschoolers. Kids will have fun practicing over and over using jelly beans, playdough, or dry erase markers to learn shapes for preschoolers. 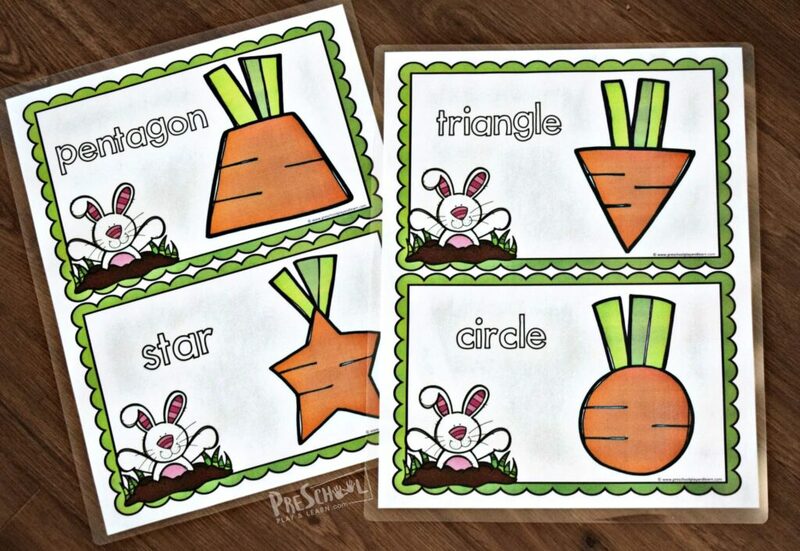 This super cute shapes for preschoolers printable is perfect for spring or Easter themed learning activity. Simply print the pages for the shapes you want to work on. I suggest laminating for durability. Then cut the pages in half so that each page makes two shape mats. 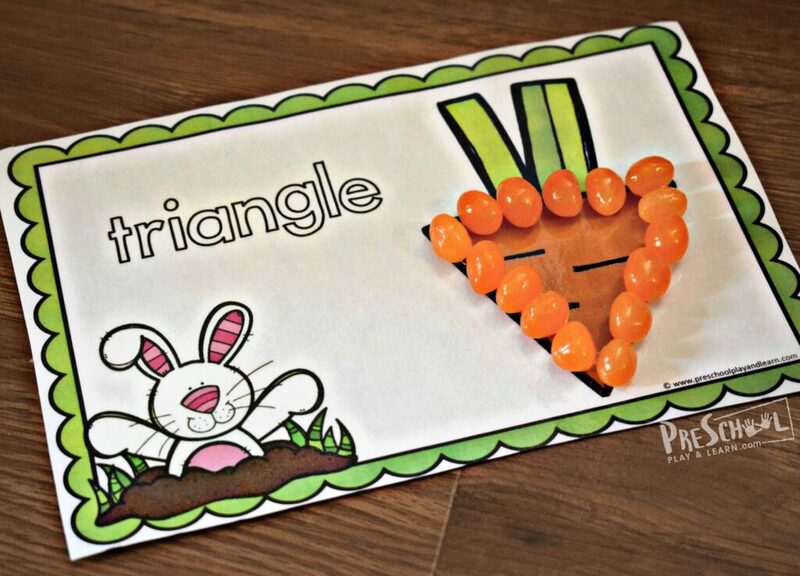 This shape activity for preschoolers, toddlers, and kindergartners has so many uses. Kids can practice making the shape with jelly beans like we did. We love making learning math fun with food! The other way to learn shapes is as playdough maps. Kids can either make shaped carrots (ie pancakes), or they can make a rope and form the outline of the shape on the mat. Students can also trace the shape name to start to become familiar with shape names. I know these are free and beautifully done but the very first one should say trapezoid not pentagon or the shape needs to be changed. Thanks for some beautiful mats. Thanks for the heads up. The typo has been fixed =) Enjoy!